Standing Rock Pipeline protesters became the most immediate threat of pollution to the Missouri river they sought to protect. They had braved the North Dakota winter by camping at the construction site of the North Dakota Access Pipeline. 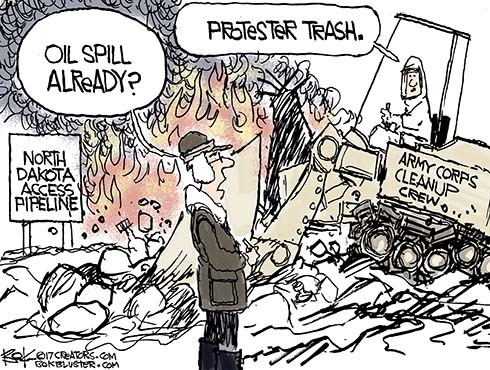 But in the end it was trash from the humans, not oil from the pipeline, that immediately threatened the river. Gov. Doug Burgum told The New York Times that melting snow could wash their “garbage and human waste” into the river. Last week authorities forced the campers to leave. Here’s the story in the Washington Times. Two stories lured me off from the campaign trail for today. Peabody Energy, the world’s biggest coal company, filed for bankruptcy. President Obama promised to drive the coal industry into bankruptcy. 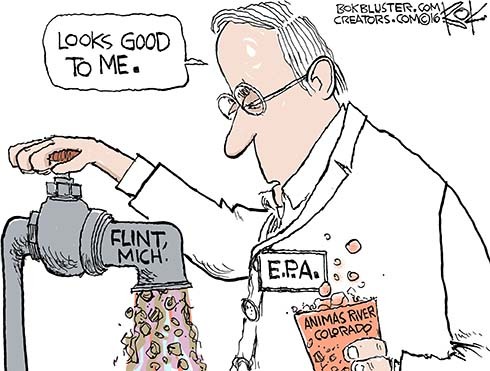 As it happens, the fracking industry is driving coal into bankruptcy. Natural gas is cheaper and cleaner than coal. 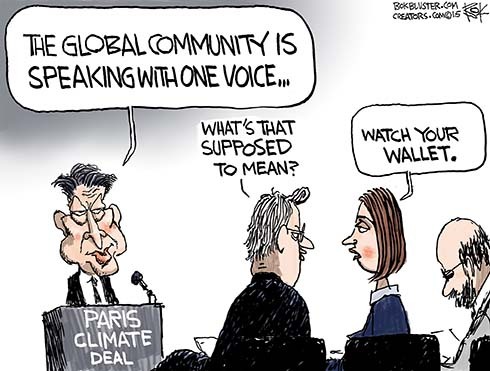 Obama hoped to replace coal with renewable energy. 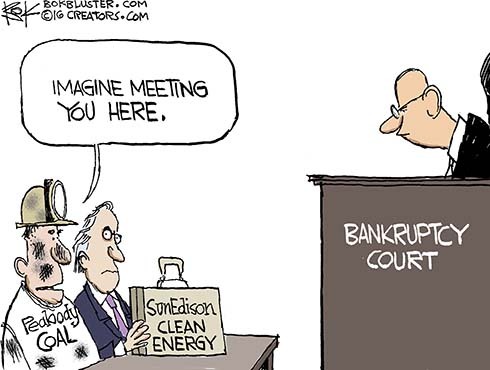 The other story is that, SunEdison, world’s biggest renewable energy company, is also preparing to file for bankruptcy. EPA chief Gina McCarthy says the Animas River is cleaning itself. 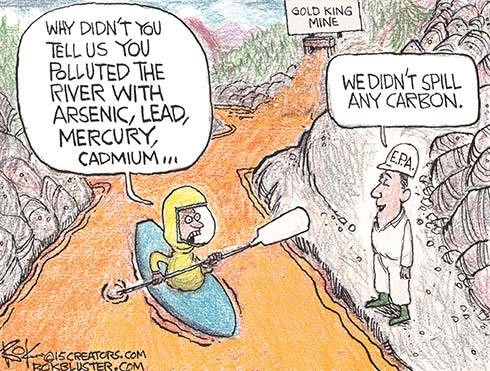 The EPA spilled 3 million gallons of toxic waste into the river when one of its contractors pulled the plug to the abandoned Gold King mine. The agency took 24 to alert officials of the spill.